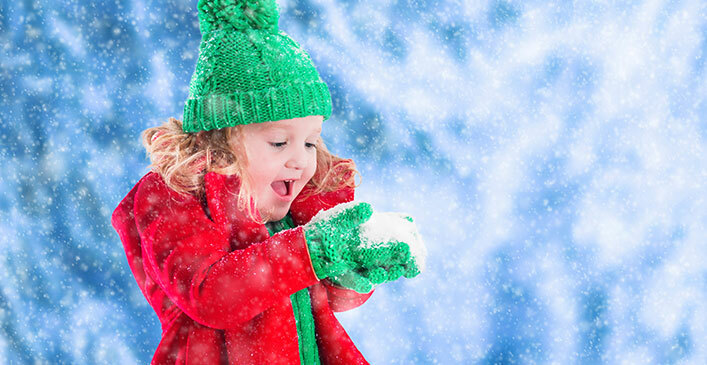 Winter has only just begun, and you might already be hearing “I’m bored” or “it’s too cold to play outside” from your kids. Finding activities to keep them occupied when they are cooped up inside isn’t always as easy as breaking out a board game. Instead of turning on the TV or handing them a tablet to help pass the time, try these creative ways to have fun together. There are many varieties of snow candy, but maple snow candy is the most popular — and the easiest. Simply take a cup of real maple syrup and a quarter cup of butter and bring to a boil on medium-high heat to approximately 240 degrees using a candy thermometer. This will take between seven to 12 minutes. Pour the candy mixture into fresh, clean snow in different shapes and lines. The candy mixture will sink a little, so make sure you have a thick layer of snow. It will harden from the coldness of the snow and become a delicious, chewy maple treat.